Network Rail’s plans to place a footbridge over the High Street and Brayford Wharf East level crossings in Lincoln city centre are going on public display this week. The company drafted a number of schematics to consult with Lincoln residents and businesses. However, no concrete designs of the bridges have yet been revealed by Network Rail. The public can view the plans in St Mark’s Square, next to Debenhams, and in the Waterside Shopping Centre on June 1 and 2, from 9.30am to 5.30pm. As previously reported, Network Rail is consulting on the two bridges due to pedestrian safety concerns. Pedestrians were filmed vaulting or running through the barriers to avoid waiting times. The bridges may also help motorists, as Lincolnshire County Council are drafting a one way system around the two parallel roads. 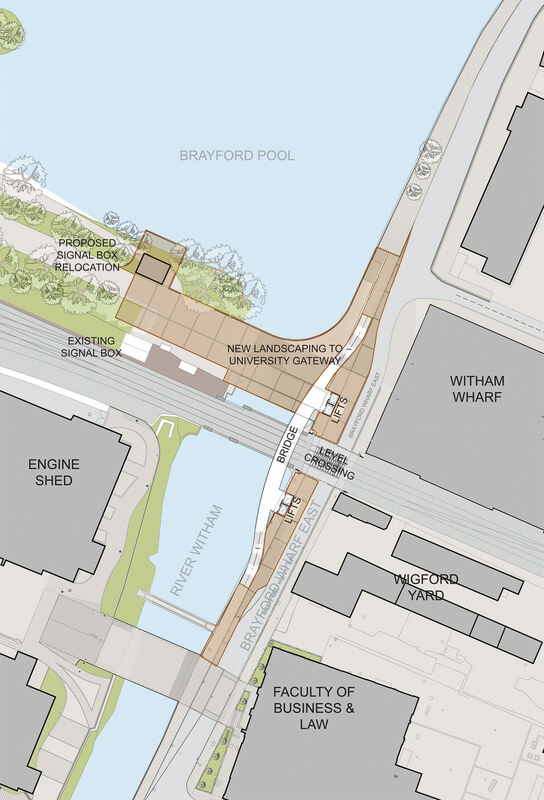 The High Street would go towards the south of the city, while Brayford Wharf East will direct traffic northbound. The barriers currently stay down for up to 25 minutes per hour due to a mix of freight and passenger trains. Network Rail are planning to bring more freight trains through the city, which could lead to barriers being down for up to 40 minutes per hour. 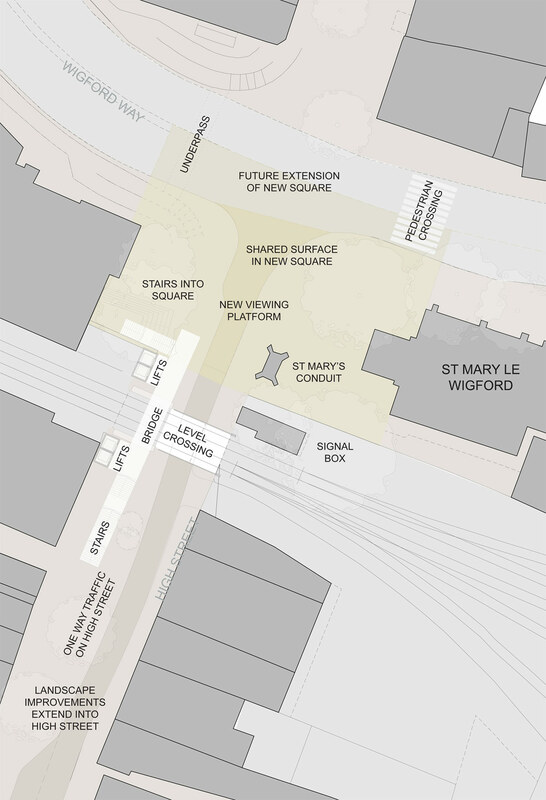 The High Street footbridge will also be incorporated in the East West Link Road plans, which will eventually see the High Street between St Mary’s and St Mark’s junction pedestrianised. There is a possibility that access to those not wanting to use the footbridges will be left intact.